Ladies, look what we found. Aadyaa Studio on Prabhat Road has the quirkiest collection of statement silver jewellery that will keep your accessories game on point. Recently, they have also added fabulous zircon sets in their collection. Sleek and sparkly, these sets are ideal for any formal as well as occasion. 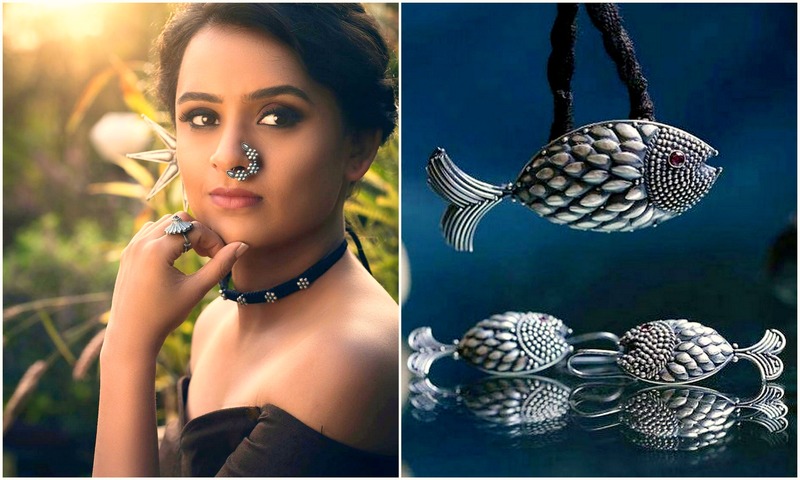 A septum ring that looks like a sapling or a trishul, a handcrafted, hand-bent ring that is customised with your name, an earring that looks like a fish, a neck-piece with waif coins and a beautiful peacock motif hair accessory - Aadyaa is for the modern, classy woman. Not just that, their Peshwai Saaj collection which consist of heavy earrings and necklaces will make you look like royalty. Chic, outlandish and unorthodox, we fell head over heels in love with their collection and got our hands on a stylish ghungroo anklet for INR 300 and a heavy Bohemian choker in German silver for INR 1,500. Not bad, we think. They keep updating their collection from time to time. Apart from their store on Prabhat road, you can shop for their jewellery on their official website as well as place orders on Instagram.